Often times, unless there is an outright problem the dock levelers on most Vancouver area warehouses and commercial buildings receive very little attention. Often much less, then they should be. Dock levelers are an important safety device that not only keeps your workers safe while transitioning from trailer to facility but it also makes your operation more efficient. Not properly maintaining your dock levelers can be a potential cause for injury, even death which would put your business in a pretty uncomfortable situation that could have easily been avoided with a regular dock leveler maintenence program. These are mechanical systems and should be inspected regularly and repaired when necessary before an accident happens. Don’t think you are immune as this same scenario has already been played out several times across Canada in the last few years. The business owner doesn’t win if WorkSafe finds the dock levelers were faulty, or improperly maintained. Your facility may have one dock leveler or maybe you have a much larger operation with a dozen or more dock levelers that all need to be serviced and maintained. This can be overwhelming for most commercial business managers and building owners who already have enough on their plate. By hiring a company that specializes in loading dock systems such as dock levelers you can outsource the maintenance and service to them. One clear benefit to hiring a professional to maintain your dock levelers is they can keep written service records for you. These are beneficial both for warranty claims and should an accident ever occur with the equipment resulting in an injury you’d be able to prove it was professionally maintained. Who Maintains Dock Levelers in Vancouver BC? DoorTech Industries has been installing, repairing and servicing dock levelers for Lower Mainland commercial operations for over 35 years. With a fleet of fully equipped service trucks and licensed, insured dock leveler technicians we can provide you with comprehensive dock leveler maintenance and repairs. 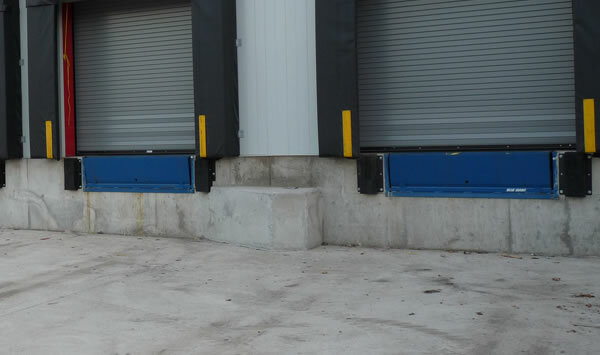 We can actually maintain your entire loading dock system, including the doors as well. If you don’t have the time to maintain your dock levelers properly and don’t want to train the necessary staff and maintain that expense then you need to give DoorTech Industries a call today so we can come out to your facility and draft up a maintenance plan for your loading docks.